The Speaker of the Zambian National Assembly, Patrick Matibini, has suspended 48 opposition legislators for 30 days as a punishment for unauthorised absence from the parliament. Their offence? To have been missing for President Edgar Lungu’s state of the nation address in March. The suspension of the MPs does not come as a great surprise. Hardliners from the ruling Patriotic Front have been pushing for something along these lines for some time. The ruling party was quick to try and disassociate itself from the Speaker’s actions. But, as Zambian commentators have pointed out, the action fits into a broader web of measures designed to intimidate those who question the president’s authority. The most significant was the arrest of opposition leader Hakainde Hichilema, who remains in jail on trumped up treason charges. While the latest development in Zambia’s growing political crisis doesn’t come as a shock, it will disappoint those who were hoping that Lungu would be persuaded to moderate his position. Instead, it appears that the International Monetary Fund’s decision to go ahead with a bail out package despite the government’s democratic failings has emboldened the president to pursue an authoritarian strategy. As a result, a swift resolution to the current political standoff seems unlikely. For some time Zambia was considered to be one of the more competitive democracies in Africa. But a period of backsliding under Lungu has raised concerns that the country’s inclusive political culture is under threat. The current impasse stems from the controversial elections in 2016 when Lungu won a narrow victory that remains contested by the opposition United Party for National Development. Hichilema, the leader of the United Party for National Development, has stated that his party will not recognise the legitimacy of Lungu’s victory until its electoral petition against the results is heard in court. The initial petition was rejected by the Constitutional Court. But its decision was made in a way that had all the hallmarks of a whitewash. The UPND subsequently appealed to the High Court. Hichilema’s decision to make his party’s recognition of the president conditional on the petition being heard was designed both as an act of defiance, and as a means to prevent the government from simply sweeping electoral complaints under the carpet. Until the court case is resolved, the opposition is committed to publicly challenging the president’s mandate by doing things like boycotting his addresses to parliament. In response, members of the ruling party have accused the United Party for National Development of disrespect and failing to recognise the government’s authority. It is this that appears to lie behind Hichilema’s arrest on treason charges. The suspension of United Party for National Development legislators needs to be understood against this increasingly authoritarian backdrop. It is one of a number of steps taken by those aligned to the government that are clearly designed to intimidate people who don’t fall into line. Other strategies include public condemnation of the government’s critics and proposals to break-up the influential Law Society of Zambia. Efforts by the president’s spokesman to disassociate the regime from the suspensions have been unpersuasive. The official line of the ruling party is that the speaker of parliament is an independent figure and that he made the decision on the basis of the official rules. It’s true that the speaker and the parliamentary committee on privileges, absences and support services have the right to reprimand legislators for being absent without permission. Nonetheless the argument is disingenuous for two reasons. The speaker is known to be close to the ruling party, a fact that prompted Hichilema to call for his resignation earlier this year. And the committee’s decisions are clearly driven by the Patriotic Front because it has more members from it than any other party. The claim that the suspension was not government-led lacks credibility. This is clear from the fact that Patriotic Front MPS have been the most vocal in calling for action to be taken against boycotting United Party for National Development MPs. There are different perspectives on the crisis in Zambia. Some people invoke the country’ history of more open government to argue that Lungu will moderate his position once the government feels that the opposition has been placed on the back foot. Others identify a worrying authoritarian trajectory that began under the presidency of the late Michael Sata. They conclude that things are likely to get worse before they get better. One of the factors that opposition leaders hoped might persuade President Lungu to release Hichilema and move discussions back from the police cell to the negotiating chamber was the government’s desperate need for an economic bail out. Following a period of bad luck and bad governance, Zambia faces a debt crisis. Without the assistance of international partners, the government is likely to go bankrupt. This would increase public dissatisfaction with the Patriotic Front and undermine Lungu’s hopes of securing a third term. But the willingness of the IMF to move towards the completion of a $1.2 billion rescue package suggests that authoritarian backsliding is no barrier to international economic assistance. In turn, IMF support appears to have emboldened the government to continue its efforts to intimidate its opponents. IMF officials, of course, will point out that they are not supposed to take political conditions into account and that their aim is to create a stronger economy that will benefit all Zambians. This may be true, but the reality is that by saving the Lungu government financially the IMF is also aiding it politically. Whatever its motivation, the agreement will be interpreted by many on the ground as tacit support for the Patriotic Front regime, strengthening Lungu’s increasingly authoritarian position. This entry was posted in Africa, Zambia and tagged Zambia on June 16, 2017 by Nic Cheeseman. Zambian President Edgar Lungu finds himself caught between a rock and a hard place in both economic and political terms. As a result, he has begun to lash out, manipulating the law to intimidate the opposition, and in the process sacrificing what credibility he had left after deeply problematic general elections in 2016. Let us start with the economy, where the president is stuck in something of a lose-lose position. On the one hand, his populace is growing increasingly frustrated at the absence of economic job and opportunities, while a number of experts have pointed out that the country is on the verge of a fresh debt crisis. Economic growth was just 2.9% in 2016, while the public debt is expected to hit 54% of GDP this year, and the government cannot afford to pay many of its domestic suppliers. On the other, a proposed $1.2 billion rescue deal with the International Monetary Fund (IMF) has the potential to increase opposition to the government for two reasons. First, it would mean significantly reducing government spending, including on some of Lungu’s more popular policies. Second, many Zambians are understandably suspicious of IMF and the World Bank, having suffered under previous adjustment programmes that delivered neither jobs nor sustainable growth. The president faces similar challenges on the political front. Having won a presidential election in 2016 that the opposition believes was rigged, and which involved a number of major procedural flaws, Lungu desperately needs to relegitimate himself. However, this need clashes with another, more important, imperative – namely, the president’s desire to secure a third term in office when his current tenure ends in 2020. The problem for Lungu is that while it looks like he will be able to use his influence over the Constitutional Court to ensure that it interprets the country’s new constitutional arrangements to imply that he should be allowed to stand for a third term – on the basis that his first period in office was filling in for the late Michael Sata after his untimely death in office, and so should not count – such a strategy is likely to generate considerable criticism from the opposition, civil society and international community. Lacking viable opportunities to boost his support base and relegitimate his government, President Lungu has responded by pursuing another strategy altogether: the intimidation of the opposition and the repression of dissent. While in some ways represents a continuation of some of the tactics used ahead of the 2016 election, when the supporters and leaders of rival parties were harassed and in some cases detained, the recent actions of the Patriotic Front (PF) government represent a worrying gear-shift. Most obviously, opposition leader Hakainde Hichilema, who came so close to leading his United Party of National Development (UPND) to victory in the latest polls, has been arrested and his home raided. His crimes? There appear to be two sets of charges. One set is relatively mundane, and relates to an incident in which Hichilema is accused of refusing to give way to the president’s convoy. For this, the opposition leader has been charged with breaking the highway code and using insulting language. The second charge – that of treason – is much more serious, but also much less clear. Court documents state that Hichilema “on unknown dates but between 10 October 2016 and 8 April 2017 and whilst acting together with other persons unknown did endeavour to overthrow by unlawful means the government of Edgar Lungu.” Although this charge has also been linked to the recent traffic incident, it seems more likely to be motivated by the president’s ongoing frustration that the UPND continues to contest his election and refuses to recognise him as a legitimately elected leader. If this is the true motivation for the charges, it will only be the latest of a number of moves to cow the opposition. For example, in response to the refusal of UNPD legislators to listen to Lungu’s address to the National Assembly, Richard Mumba – a PF proxy close to State House – petitioned the Constitutional Court to declare vacant the seats of all MPs who were absent. The opposition are not alone. Key elements of civil society have also come under fire. As a result of the waning influence of trade unions, professional associations now find themselves as one of the last lines of defence for the country’s fragile democracy, most notably the Law Association of Zambia (LAZ). It should therefore come as no surprise that a government MP, Kelvin Sampa, recent introduced legislation into the National Assembly that would effectively dissolve the LAZ and replace it with a number of smaller bodies, each of which would be far less influential. The bills introduced by Mumba and Sampa may not succeed, but in some ways they don’t need to. Their cumulative effect has been to signal that those who seek to resist the governments are likely to find themselves the subject of the sharp end of the security forces and the PF’s manipulation of the rule of law. The nature of Hichilema’s arrest is a case in point. Despite numerous opportunities to detain him in broad daylight, armed police and paramilitaries planned a night attack in which they switched off the power to the house, blocked access to the main roads, and broke down the entrance gate. Inside the property, the security forces are accused of firing tear gas, torture, urinating on the opposition leader’s bed and looting the property. It is therefore clear that the main aim of the operation was not an efficient and speedy arrest, but rather the humiliation and intimidation of an opponent. Such abuses may help Lungu to secure the short-term goal of prolonging his stay in power, but they will threaten to undermine Zambia’s future. It will – or at least it should – be politically embarrassing for the IMF to conclude a deal with Zambia while the opposition leader is on trial on jumped up charges and civil society is decrying the slide towards authoritarian rule. Rumours now circulating in Lusaka suggest that President Lungu may be preparing to enhance his authority by declaring a State of Emergency in the near future, which would further complicate the country’s international standing. Lungu’s blatant disregard for the rules of the democratic game also has important implications for the county’s political future. Many Zambian commentators reported that the 2016 election was the most violent in the country’s history, and forecast rising political instability if this trend was not reserved. Rather than heed this warning, President Lungu appears determined to put this prophecy to the test. This entry was posted in Africa, Zambia and tagged president, Zambia on April 20, 2017 by Nic Cheeseman. In recent years, an increasing number of African presidents have sought a third term in office, despite operating in countries with a two term limit on the presidency. By and large, such efforts have been successful in countries in which leaders exercise effective control over both the security forces and a dominant ruling power. Thus, presidents in Rwanda and Uganda removed constitutional barriers to their tenure without significant difficulties. By contrast, leaders who either lack effective control of their parties and security forces, or hold power in more open and democratic states, have tended to forced to respect the constitution. Examples of the former type of case include Burkina Faso and Nigeria, while Zambia is often cited as an example of the latter trend. Back in 2001, when the then-President Frederick Chiluba sought to seek a third term, an “Oasis Forum” of religious leaders, trade unionist and opposition activists defeated his plans. It is looking increasingly likely that Zambia will now experience a second “third term crisis” as President Edgar Lungu looks to extend his time in office. Lungu is currently in his second spell in State House, and has argued that because he did not serve a full first term – he took over from the former President, Michael Sata, following his untimely death in office – he should be allowed to contest for power for a third term. He appears confident that Constitutional Court judges will back his interpretation of the constitution. On the one hand, there are precedents in Africa of a leader serving three terms in such cases. On the other, the new Zambian constitution is ambiguous and can be interpreted both to support and prohibit Lungu’s ambitions. One clause of the 2016 constitution states that “a person who has twice been elected as President shall not be eligible for re-election to that office”, which seems to present a shut and dried case. Although Lungu did not replace Sata from the position of Vice President, he did win power through a presidential by-election and only held office for a year before the next general elections. On this basis, his supporters claim that the most appropriate interpretation of the constitution would be to treat the president as if he had fallen under (a). If the Constitutional Court agrees, Lungu will be deemed not to have served a full term, and is eligible to stand again. This, coupled with the fact that Lungu appointed the Constitutional Court last year, has encouraged the president to believe that he can carry the day. Indeed, while most leaders pretend not to be actively campaigning for a third term until they are sure that it is in the bag, the Zambian president has openly stated his desire to retain the top job, despite the next election not being until 2021. However, recent analysis that has suggested that the president is now a shoe-in for a third term risks overstating the case. There are a number of important players who will seek to block Lungu’s third-term bid, both without and within his own political party. Despite its narrow election victory in 2016, the Patriotic Front remains deeply divided. Moreover, allegations of election rigging mean that the president’s mandate is questionable. At the same time, international donors are increasingly worried about Lungu’s poor record on both political and economic governance. Against this backdrop, efforts to force through a third term are likely to generate considerable opposition, both within the legislature and on the streets. This is significant because it was precisely this combination that blocked Chiluba’s path back in 2001. While much of the academic and media coverage focussed on high-profile civil society protests, it was a revolt by Chiluba’s own MPs that denied him the votes he required to change the constitution through parliament. Lungu will be hoping that a combination of carrot and stick – patronage and intimidation – will be sufficient to marshal parliament to his side if the Constitutional Court does not rule in his favour. He may well be right, especially as Zambian civil society is significantly weaker today than it was in the past and his MPs have recently been falling over each other to express their loyalty in the media. However, it is worth keeping in mind that the last Zambian president to make such as assumption ended up profoundly disappointed. *This post was updated following particularly helpful comments and suggestions from Sishuwa Sishuwa. Any errors or mistakes remain my own. This entry was posted in Africa, Zambia and tagged president, Zambia on March 23, 2017 by Nic Cheeseman. On Wednesday 5 October, the Zambian police announced that they had arrested two of the main leaders of the United Party for National Development (UPND). This was not the first timer either party president Hakainde Hichilema or vice president Geoffrey Bwalya Mwamba have been arrested – indeed Mwamba, popularly known as GBM, was detained earlier this year during a particularly heated election campaign. Zambians could therefore be forgiven for having a sense of déjà vu, as even the charges were similar to those that have been brought against opposition leaders in the past: sedition and unlawful assembly. However, in other ways the recent arrests represent a worrying new development in Zambian politics. Following controversial presidential elections that were marked by long delays and accusations of electoral malpractice, relations between the government and opposition have hit a recent low. On the one hand, Hichilema has refused to accept the official verdict, and has described the court proceedings that ratified it as a sham. On the other hand, President Edgar Lungu has shown no signs of being ready to adopt the conciliatory and inclusive stance required to build bridges and legitimate his government. As a result, the tense political atmosphere is likely to continue, as is the game of brinkmanship between leaders on different sides of the country’s political divide. Instead of bring treated with respect, Hakainde and Mwamba have alleged that after their arrest they were denied the food, water, bedding, and warm clothing brought by their legal team. However, instead of persuading opposition leaders to give up the fight, their current difficulties appear to have hardened their resolve. For example, in a recent statement, Lungu explained that “… we are telling Lungu and his disputed regime that we shall not stop moving around the country to meet our structures and greet our people“. In the past, charges against opposition leaders have typically been dropped quickly. However, although Hichilema was subsequently released on bail, having pleaded not guilty, it appears that the state may push ahead with prosecution in this instance. While this would have the benefit of distracting the opposition from campaigning against Lungu’s election, it would also further alienate opposition supporters and may become a sticking point in Zambia’s negotiations with the International Monetary Fund – which has said that it is ready to pursue a $1.2 billion rescue package for the country’s ailing economy, but wants to see evidence that the president is willing to enact political and economic reforms. This entry was posted in Africa, Zambia and tagged Zambia on October 16, 2016 by Nic Cheeseman. Opposition leaders claim that democracy in Zambia is under threat as President Edgar Lungu and his Patriotic Front government scramble to hold on to power ahead of the elections scheduled for 11 August. As we reported previously, the opposition United Party for National Development (UPND) has grown in strength and confidence since its leader, Hakainde Hichilema, narrowly lost the presidential by-election that brought Lungu to power in 2015. Low copper prices have constrained the government’s ability to respond to public concern regarding high unemployment, while the country’s most influential newspaper, The Post, has moved firmly into opposition to the government. The pressure appears to have told on the government, which now stands accused of a number of different irregularities. According to the respected Zambian commentator, Sishuwa Sishuwa, the level of accusations relating to preparations for the next election mean that a disputed outcome may soon be inevitable. For example, The Post newspaper has carried accusations that the Electoral Commission of Zambia awarded the contract to bring the ballot papers to a little-known Dubai based firm – despite the fact that it quoted a price that was more than double the amount paid to the company that normally does the job, in order to facilitate economic and political malpractice. In response to such headlines, the Patriotic Front government appears to have leant on the Zambian Revenue Authority to call in debts owed by The Post, leading to a raid on the newspaper on 21 June. Worse still, rumours are now circulating that the government has developed a plan – Project 777 – on how to rig the elections that includes members of the military, Electoral Commission, the intelligence services and civil society. At the same time, the government stands accused of recruiting voters from neighbouring countries to vote in Zambia, with the UPND claiming that as many as 500,000 illegal voters have been added to the electoral roll. That President Lungu has felt the need to come out and publicly deny these accusations has done little to make them go away, or to boost the confidence of the opposition. This entry was posted in Africa, Zambia and tagged Zambia on July 14, 2016 by Nic Cheeseman. To the surprise of many commentators, including this one, the Zambian President, Edgar Lungu, ushered in a new constitutional dispensation on 6 January 2016, agreeing to a number of far-reaching reforms that have the potential to transform the Zambian political landscape. Having initially pledged to promote constitutional reform, Lungu subsequently argued that there was insufficient time to introduce a new constitution before the next general elections, scheduled for 11 August, and so advocated for selectively certain clauses by introducing the Constitution of Zambia (Amendment) Bill to the National Assembly. Coming in the wake of a series of presidents who either subverted or postponed constitutional reform, this was widely interpreted as an effort to empower the executive to pick and choose which changes to introduce, and thus to stymie genuine reform. • A 50%+1 clause that requires successful presidential candidates to win an absolute majority of the vote. Had this been in place in past multiparty elections, the majority of contests would have required a second round run-off. Opposition parties have called for this clause for many years to prevent incumbents winning with a small proportion of the vote. • All presidential candidates must now declare an official “running mate” when they submit their nomination papers, who then becomes the vice president when they are sworn in. • To contest for the presidency, parties must be able to demonstrate that they have 100 supporters – who must be registered voters – in every province. This is said to be a progressive clause as it forces parties to appeal to all parts of the country. • Dual citizenship, something that the Zambian diaspora has desired for many years, will be permitted under the new rules. President Lungu’s willingness to enact these changes has been an important shot in the arm for Zambian democracy, but stands at odds with the president’s growing reputation for authoritarian excesses. At the time of writing, Geoffrey Mwamba (popularly known as GBM), the vice president of the main opposition United Party for National Development (UPND), is under arrest on trumped up charges of “drilling” 250 young men, who it is alleged were being trained to form an opposition militia. At the same time, the University of Zambia (UNZA) remains closed after the president used the Public Order Act to shut it down. On 6 February, Lungu stated that he will not re-open the country’s most prominent educational establishment “until students demonstrate maturity”. The inconsistency in the president’s approach has led some commentators to look for reasons that Lungu may have agreed to the Constitutional Amendment Bill not because he believes in democracy but because it will help him to win the next elections. The conspiracy theory runs something like this: the president’s main motivation for introducing these changes stems not from a commitment to plural politics but a desire to turn on the taps of international financial assistance in a period of prolonged economic decline, and to relegitimate his struggling government in the eyes of an increasingly critical electorate. Clauses such as the requirement for presidential candidates to stipulate a running mate are not intended to clarify the political system, but rather to force the main opposition leader, Hakainde Hichilema into a difficult position because his party, the UPND, features two vice presidents. The new rules will therefore force Hichilema to disappoint one of his key allies. On this logic, the requirement for parties to have 100 supporters in each province is not designed to deter ethnic politics, but to disadvantage smaller parties, and hence to dissuade disgruntled members of the Lungu’s Patriotic Front (PF) from defecting. Similarly, the requirement for winning presidential candidates to secure 50%+1 of the vote is not intended to ensure that the government has a broader base of support and legitimacy, but has been allowed through because Lungu believes that as the sitting president he will be better able to form a broad coalition than his rivals. If this is the president’s thinking, then he may have miscalculated. Although his alliance with former president Rupiah Banda has given him greater access to campaign finance, it is Hichilema that appears to be putting together the more effective alliance. One of the reasons that Geoffrey Mwamba seems to have been targeted by the government is that the UPND vice president was previously a core member of the PF during Michael Sata’s leadership, and has considerable capacity to mobilize voters. Other former PF allies have also joined the UPND, giving the party a far stronger allure outside of its Southern Province heartlands. Indeed, if President Lungu – who hails from the minority Nsenga community – fails to appoint someone from the much larger Bemba speaking community as his running mate, he may lose one of the largest voting blocs that propelled his predecessor to the presidency in 2011. In this way, the running mate clause may prove to be a greater challenge for the PF than for the UPND. Moreover, if the election does go to a run-off this may generate the perception that the government is vulnerable, and encourage more defections to the opposition. The outcome of the next elections therefore remains too close to call. This entry was posted in Africa, Zambia and tagged Zambia on March 4, 2016 by Nic Cheeseman. Earlier this month, President Edgar Lungu, in a very unpresidential move, issued what amounted to a death threat targeting the editor of The Post newspaper, Fred M’membe. Lungu’s comments bring into focus the increasingly bitter factionalism within Zambia’s ruling party, the Patriotic Front (PF), as well as that party’s dimming electoral prospects ahead of next year’s polls. Lungu became president last January in a by-election after the death of his predecessor and the PF party founder Michael Sata. His victory followed a divisive nomination battle within the PF itself, which produced two opposing camps, one led by Lungu and a second aligned with then acting President Guy Scott’s preferred nominee. The PF split was only exacerbated after the former President from the opposition Movement for Multi-party Democracy (MMD), Rupiah Banda, threw his weight behind Lungu. Banda’s influence—bolstered by his considerable financial support of Lungu’s campaign—is credited with compelling Lungu to adopt a more ‘pro-business’ policy stance. This shift in focus—including promises to reverse a prior PF government decision increasing royalty taxes in the mining sector—further alienated many within the PF who were originally opposed to Lungu’s candidacy. M’membe of The Post was among the notable erstwhile PF supporters now disillusioned with Lungu’s leadership. The prominent editor had previously used his paper to champion the government of Michael Sata. Now the same paper has become a vehicle to mudsling the current President while propping up the political campaigns of former PF Secretary General and founder of the new opposition Rainbow Party, Wynter Kabimba. Kabimba fell out with Sata before his death and subsequently challenged Lungu’s leadership from the left. While Kabimba formally exited the PF, many of those who belonged to the same left-leaning faction—once known as the Cartel—remain. The ferocity of Lungu’s recent outburst against M’membe is indicative of tensions stemming both from his fragile position within the PF and from his party’s overall declining popularity. After finding himself indebted to a number of his own Cabinet ministers post election, Lungu is now trying to consolidate his hold over the party. This effort involves simultaneously accommodating newcomers from the MMD brought over as a result of Banda’s support. In this vein, The PF Chairperson for Elections indicated last month that the party would ‘rebrand’ ahead of the 2016 polls and that, crucially, 70% of sitting PF MPs would not be re-selected to run as parliamentary candidates. These intra-party woes are not the only challenge, however. Zambia’s foundering economy, hit hard by the fall in copper prices, is eroding the PF’s popular support. These losses are all the more worrying given Lungu’s nail-bitingly thin, 30,000-vote January victory over the lead opposition candidate, Hakainde Hichelema of the United Party for National Development (UPND). Lungu’s alliance with Banda also is not as secure as it might be. Banda reportedly threatened to back Hichilema after Lungu refused to see him following an impromptu visit to State House. Banda has supported Hichilema’s UPND before. As was the case with Banda’s most recent turn to the PF, which came after he failed to secure his position as MMD presidential flagbearer, his erstwhile support for the UPND was a means of snubbing rival factions within his own party. Extrapolating from Lungu’s attack on M’membe, the overall picture we get is of a President on tenterhooks who is struggling to unite his own party against the backdrop of an ever more factious party system. 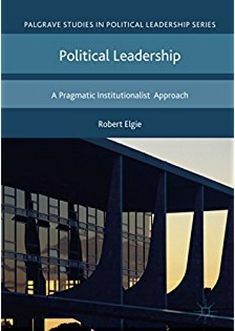 Elite level splits within parties are producing a variable geometry of party alignment and re-alignment, driven forward by personal antagonism and reinforced through ideological differences. Whatever the outcome in next year’s elections, the stakes are high. Given that previous ruling parties have receded into oblivion after losing in the polls, the very survival of the PF as a viable party is in question. This entry was posted in Africa, Zambia and tagged president, Zambia on September 25, 2015 by Michaela Collord. On 10 March, the Zambian people woke up to the news that their new president, who only began his presidential term on 25 January, has already been forced to postpone some of his commitments to seek throat surgery in South Africa. This would be worrying news in any country, but it has deep political resonance in Zambia, where two of the last four presidents have died in office. Already, rumours abound that his health problems are greater that the government is willing to let on. Reports of Lungu’s ill-health are nothing new. During the election campaign it was alleged that he was sick, but he denied the suggestion and even offered to undergo a medical check up. However, this now appears to have been an act of bravado intended to deflect attention away form longstanding throat problems. However, further tests showed that the issue was not malaria. Rather, it appears that the president’s condition, which narrows his oesophagus, led to low sugar levels, which in turn led to his collapse. The surgery in South Africa is a high-tech medical procedure to correct this that could not be performed in Zambia. Although it is not yet clear exactly what kind of surgery the president requires, these kinds of procedures are said to be relatively low risk, and President Lungu is therefore expected to return to work in Zambia soon. This has been a deliberate strategy of the president to set Zambian minds at ease. As the president has put it, “We are coming from a history of having lost two heads of state in office and I think (Zambians) are anxious to know the state of their president … So I am explaining where we are. If I’m unfit for duty, I will be the first to say ‘sorry I can’t continue.’ I think that’s how it should be.” So far, this strategy seems to be working, although questions will continue to be raised about whether the president will be able to see out his term of office if he does not return to his duties soon. This entry was posted in Africa, Zambia and tagged president, Zambia on March 13, 2015 by Michaela Collord.